Looking for a gift that's out of this world? You could get them flowers or chocolate but how about your own star!? There's nothing quiet like it. 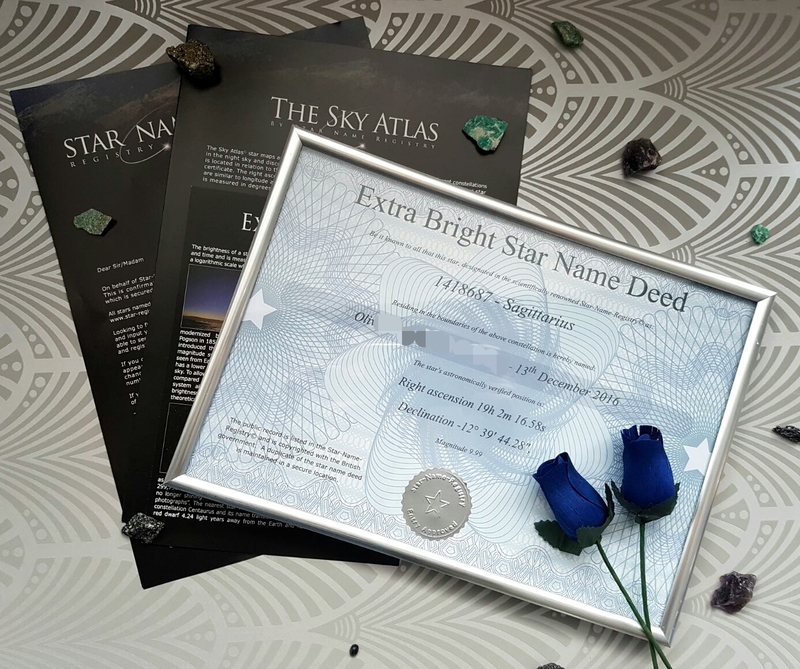 If your looking for personalised gifts, there's nothing more special than actually naming a star after someone. I mean, how cool is that?! Knowing somewhere out there is a star named after you. It's a pretty unique gift to someone else or for yourself. When Star Name Registry got in touch and asked if I'd like to review one I jumped at the chance. 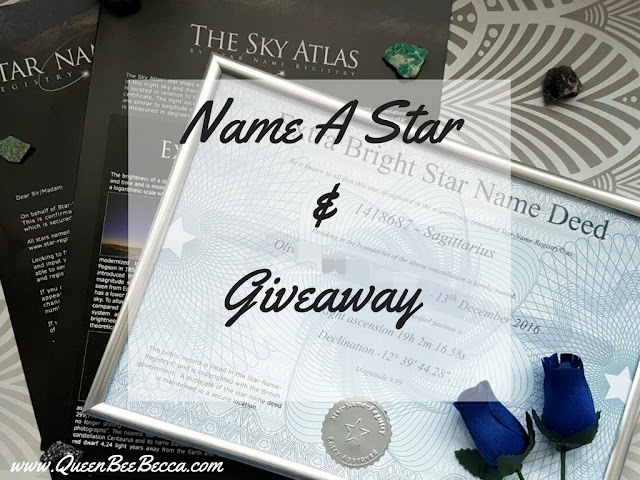 Your star will be unique to you, no one else will ever be able to name that star and you can even follow a link once you've received it in the post to actually view your star online. 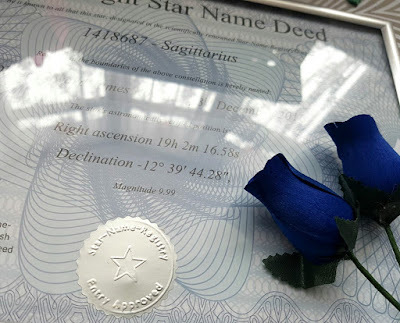 I decided to get my star named after my tiny human, although he can't appreciate it being almost 4 months old, it's a gift he's going to have for the rest of his life. It's a lovely feeling knowing somewhere out there is a star burning brightly named after him. Due to naming it after my son, I have pixelated out his name but you can still get the idea of how it looks. Prices for these start at as little as £14.99 which is incredible for a gift that truly lasts a lifetime but to top it all off, Star Name Registry have kindly given me one worth £34.98! 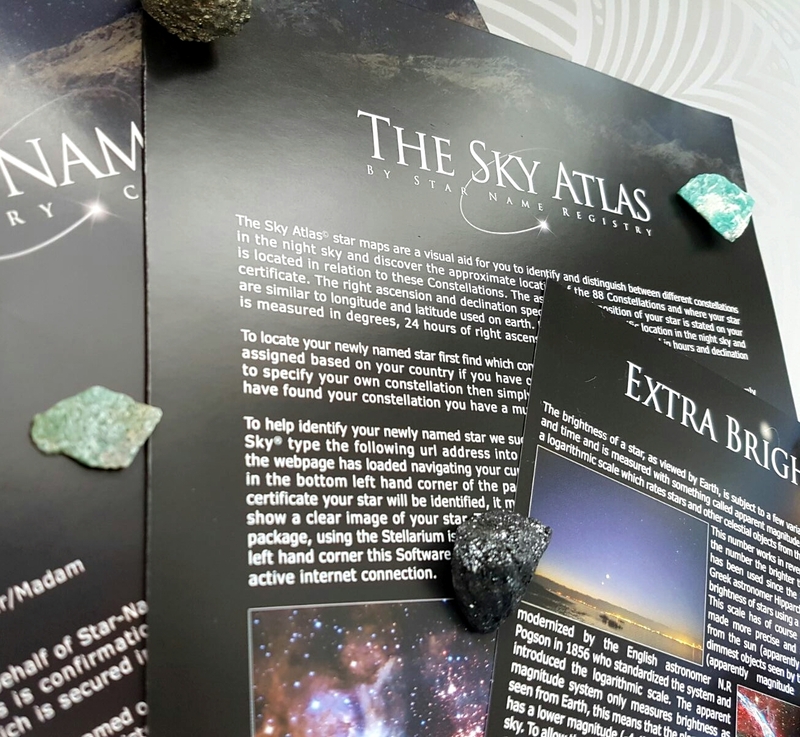 You'll get a certificate personalised to your choice and a constellation map. So get entering and keep wishing on those stars! I would love to win for my Hubby, Mr G. We would both love it! After myself ;) Haha, on a real note, it'd be to my childhood friend for putting up with me all these years! Should definitely go for my loving and caring mother who is and will forever be so near and dear to me. 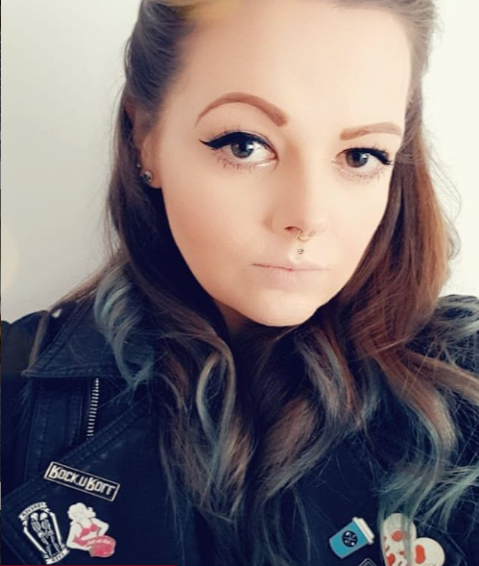 Can't imagine my life without her! All Moms are Angels.